Environment and Climate Change Canada's Engineering Climate Datasets' rainfall trend data have been summarized to show Ontario climate change trends. Data have been screened to show recently active rainfall gauge observations with more reliable, longer term records. The summary tables below show rainfall intensity trend data for stations in southern Ontario (south of latitude 44 degrees), with over 30 years of record. The majority of trends are not statistically significant, and there are slightly more decreasing rainfall intensity trends than increasing ones. The summary table trends correspond to observed annual maximum recorded rainfall depths over various short durations. Have scientists been muzzled by the federal government from sharing this? Have Ontario scientists and engineers missed the facts that don't support the rationale for cap and trade, Bill 172? Southern Ontario Rainfall Intensity Trends. Stations below latitude 44 degrees and with a least 30 years of record focus on south and western stations (no tranditional south east municipalities). 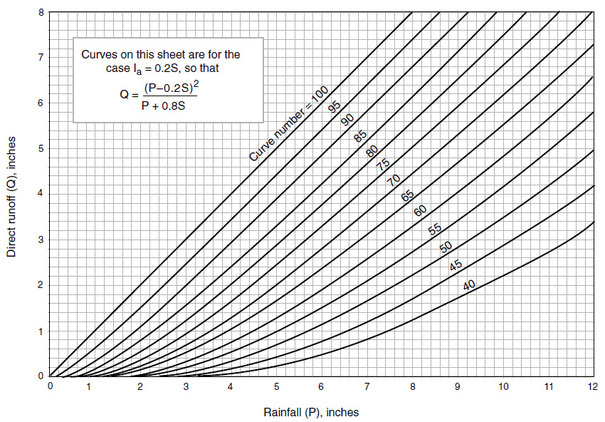 Individual cells in the table correspond to trend lines on individual, observed maximum rainfall charts. 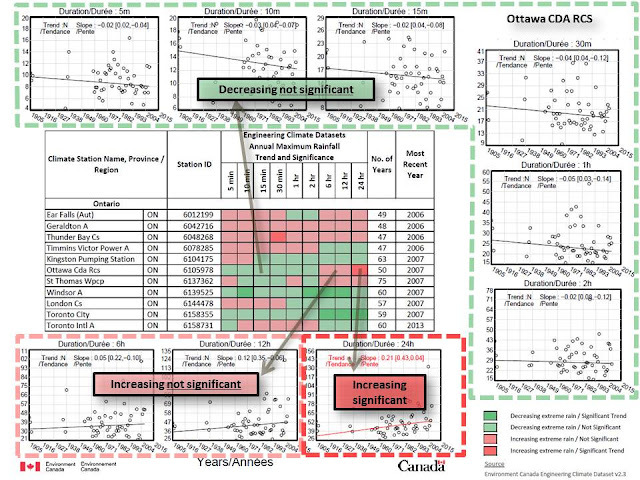 Below, a table with longer term stations (> 45 years of record) across all Ontario are shown with corresponding charts. For the Ottawa CDA RCS climate station, shortest duration extreme rainfall volumes and intensities are decreasing for 5 minutes to 3 hour durations, corresponding to the 6 left-most, light-green cells in the table, and the top and right 6 trend charts/times series plots. The next 2 light-red cells and bottom left charts show increasing 1 hour and 2 hour intensities. The last cell in the row and bottom chart shows increasing rainfall intensities over 24 hours - this trend is statistically significant at the 5% level, and so that chart includes the "Trend: +" note. Rainfall trend data for the Toronto Pearson International Airport gauge data, located in the City of Mississauga, show a mixture of decreasing short and long duration extreme rainfall observations (5 minute, 6 hour, 12 hour, and 24 hour durations). and increasing mid duration observations (10 minute to 2 hour durations), but not statistically significant trends. The "Trend: N" note at the top of all charts here signifies no statistically significant changes in extreme rainfall characteristics. The historical rainfall observations for the central Toronto, Toronto City climate station, show decreasing extreme rain for all durations. Trends for 5 minute to 2 hour durations are mild and not statistically significant. 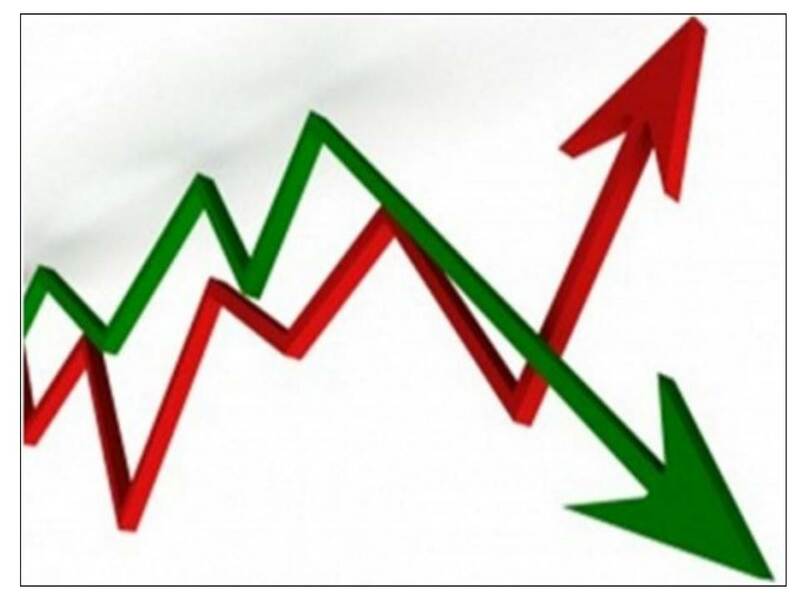 Decreasing trends over 6 to 24 hour durations are stronger and are classified by Environment and Climate Change Canada as statistically significant - such charts include the "Trend: -" note. Overall with the Southern Ontario long term, recent observations, more statistically significant decreasing rainfall intensities have been recorded (8 data points), than increasing intensities (4 data points). The statistically significant decreasing extreme rain data are clustered across storm durations in Toronto and Winsdor. The only stations with no decreasing rainfall trends are Bowmanville and Oshawa, and the only ones with no increasing rainfall trends are Toronto, Windsor and Hamilton. The table below shows Ontario extreme rainfall trends for all stations, including inactive ones and those with short records. Overall, there are no significant trends for over 93% of data points, with about 5% of data showing statistically significant increases and 2% showing decreases. "Northern" Ontario stations show a greater increase in intensity than southern ones. The table below is similar to the first table, and includes more reliable long term record, recently active stations. Some traditional central and eastern Ontario stations above 44 degrees are included in this definition. Decreasing rainfall trends appear prevalent in the central and eastern stations spanning between -Kingston-Brockville-Cornwall-Kemptville-Ottawa. Increasing rainfall trends are more prevalent at the far north stations. "Northern" Ontario extreme rainfall trends. Includes central and eastern Ontario stations below 44 degrees latitude. engineering with oversimplified analysis and unreliable results. A new report for Insurance Bureau of Canada by Team Green Analytics (Green Analytics Corp. & Ontario Centre for Climate Impacts and Adaptation Resources) reviews weather effects of climate change including flooding in an urban area. It is entitled The Economic Impacts of The Weather Effects of Climate Chance on Communities. It can be downloaded here. Mississauga is used a the test case for storm damages, specifically river flood plain damages. The analysis estimates expected annual damages today and in the future under various climate change scenarios. The Community Impact Analysis Tool (CIAT-Flood) was developed to allow other communities to apply the analysis - the spreadsheets "within which the calculations and data are stored to estimate direct and secondary expected annual damages (EAD) for each of the climate related extreme events of relevance to this project." A review of the methodology suggests that results should be viewed with caution due to several inappropriate assumptions that have been made - the absolute value of damages will be overestimated and incremental climate change impacts will be overestimated. intensity across all durations as assumed in this study? No. surfaces as shown in the standard SCS Curve Number chart. no-one builds within a 5-10 year flood plain (except maybe ancillary structure / sheds). 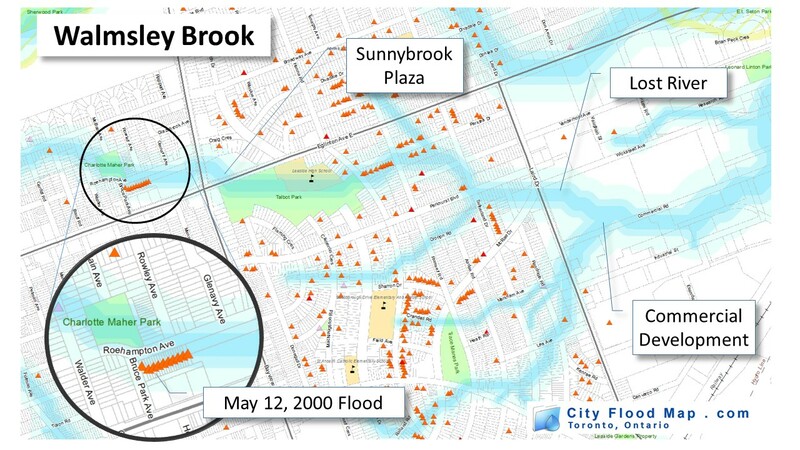 To illustrate item 2 above, the table below shows how flood depths vary by return period in Mississauga's Cooksville Creek which has over 100 properties in its 100 year floodplain. As shown, reaches of the creek typically have flow capacity limitations and flooding for the 100 year event (as indicated by road and rail crossing overtopping) however they do not have constraints for all lower return period events. Of 26 crossings, only 4 are overtopped for the 2 year event. Of 12 crossings that are overtopped for the 100 year event, only 7 are overtopped for the 10 year event. The Team Green Analytics report assigns flood depths and damages to the these lower return period events where there is no flooding, where design flows stay in the channel and the major drainage system is not overtopped. Their analysis improperly, and inadequately applies hydrologic and hydraulic engineering principles. 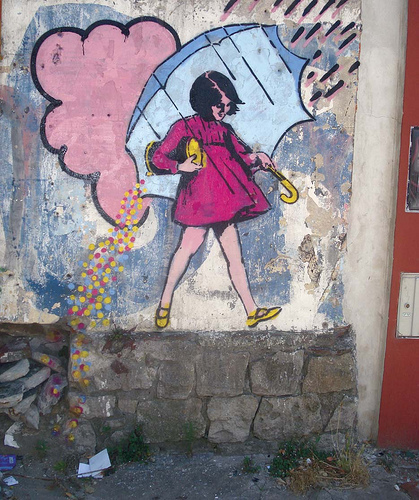 skips over the science of hydrology and the practice of hydraulic engineering. As damages are nonlinear as well, as shown by the damage depth curve at right, relatively high low return period damages would be estimated. Yet, actual river floodplain damages are nil for smaller return period year events - overall, frequent flood floods stay in the channel as demonstrated in the rail/road overtopping table. depths in an urban watercourse system proportional to flow? flood damages, contrary to the study results. Also, the approach used to factor flood depths to changing climate midpoints is not considered valid. Shown in the study's approach in the orange highlight below, depths are assumed to increase with the average rain intensity change across all durations. While it may be appropriate to conservatively approximate increases in flow with that of intensity in a completely urban watershed, it is certainly not appropriate to do so for flood stage, or hence, flood depth - this assumption ignores the basic non-linearities of river rating curves. Hydraulic systems become more efficient at conveying flows at high flow rates as the hydraulic radius of a cross section increase with depth (relative hydraulic roughness decreases). Therefore the Green Team Analytics analysis inappropriately applies common hydraulic engineering principles. In fact fundamental principles are ignored. The example in HEC-RAS at right shows how depth increases only marginally as flow increases. This would result in lower flood depths and incremental flood damages for future climate scenarios compared to the baseline climate. As roadways would generally be over-topped during extreme events (e.g., see Cooksville Creek example table above), resulting in "weir flow" conditions, further non-linearities are expected with the flow regime, dampening depth increases even more. Undergraduate fluid mechanics and hydraulic engineering classes all learn weir flow capacity increases with a 1.5 exponent power function relative to depth, not linearly with a 1.0 exponent. The Green Team Analytics analysis ignores basic hydraulic engineering principles. To check the analysis issues noted above, real flood plain hydraulic model results with real flood depths for multiple return period events below the 100 year event were reviewed. 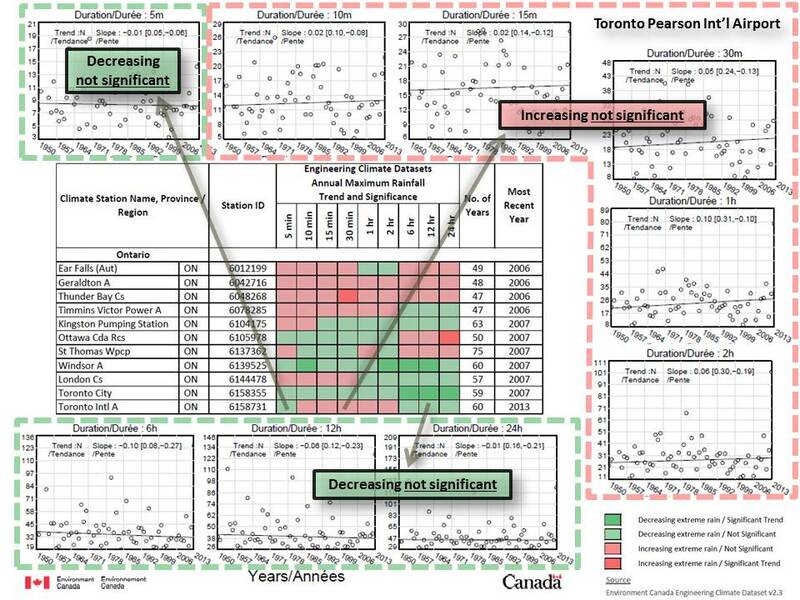 Data are for a GTA municipality, screened for residential properties. These data are derived from engineered floodlines that properly consider urban hydrology and floodplain hydraulics. Real data shows diminishing counts for properties flooded for smaller return period events, accurately reflecting common hydrology trends in watersheds and hydraulics in river systems. The real depth of flooding decreases to zero for small return period events. Using property count and depth as an indicator of flood damages, using rain frequency to estimate flood depths over estimates the absolute flood risk by 55%. Given non-linearity in flood damage curves, absolute flood damages would be overestimated by even more (> 55%). The Green Team Analytics report does not consider fundamental hydrology and hydraulics to estimate flood damages, and as a result incorrectly overestimates small storm damages. using rain intensity and no hydrology, or hydraulics, overestimates flood damages compared to using real data. • Land uses at low levels including below ground land uses"
The report The Economic Impacts of The Weather Effects of Climate Chance on Communities does not address bullet items 3 or 4 with any focus: no estimate of flood levels (i.e., depths) using water levels and ground levels are used (depths were estimated from rainfall); no damages from frequent floods are calculated (depths and damages were estimated based on rainfall with no flood hydrology considerations, nor flood hydraulics considerations). Spatially explicit GIS flood extent data for the historical 100 year return period was available167 and was used in this analysis but no additional flood extent data existed for other return periods or climate change scenarios. Therefore, the relative changes in IDP based on data from the IDF_CC Tool was used as a proxy to alter the flood depths across the existing buildings within the historical 100 year return period flood extent. This allowed for an estimate of the flood extent across all above return periods both for the historic time period (baseline climate change scenario) and the future time periods while accounting for climate change (moderate and high climate change scenarios). Firstly, the return period values of the IDF curves for three time periods were utilized: baseline (1960-1990), and two future periods under a climate change scenario (2015-2045 and 2035-2065). 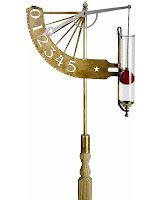 The rainfall intensity was provided for several durations (5 mins, 10 mins, 15 mins, 30 mins, 1 hr, 2 hr, 6 hr, 12 hr and 24 hr) measured in mm/hr, and across each return period (2yrs, 5yrs, 10yrs, 25yrs, 50yrs and 100yrs). The average relative rainfall intensity across all durations was calculated between the baseline period (1960-1990) and the two future time periods (2015-2045 and 2035-2065) under the climate change scenario. These relative results provided a proxy to estimate the relative change in flood depth across return periods between the baseline time period (recent historic climate) and the two future time periods under a changing climate (midpoints: 2035 and 2050). Additionally, the average relative rainfall intensity across the durations was calculated between the baseline 100 year return period values and the other baseline return periods considered in this analysis (2yrs, 5yrs, 10yr, 50yrs). Since data was only available for the 100 year historic flood extent, the flood extent for the other baseline return periods were calculated by multiplying this relative change in rainfall intensity as a simple proxy to estimate the flood depths at each building across all of other return periods considered. Once the baseline flood depths versus return periods were calculated for the baseline historic climate change scenario, then the flood depths versus return periods were calculated for the future time periods assuming the given future climate change scenario using the relative change in rainfall intensity as a proxy. The report estimates that by 2020 expected annual damage (EAD) attributed to climate change increases by 2.4% (moderate climate change) to 2.5% (high climate change) relative to the corresponding baseline scenario. And by 2040, EAD increases by 6% (high climate change) to 13% (moderate climate change) relative to the baseline. 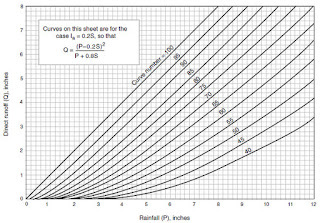 Given issues with the assumed flood depth - rainfall intensity relationship, EAD values would likely increase by a lower amount (say less than 5% for high climate change and less than 10% for moderate climate change) if a more appropriate non-linear rainfall-runoff-design flow relationship, and more appropriate non-linear design flow-flood stage elevation (flood depth) relationship were used. "Thus, to help identify areas where adaptation investments may be justified, there is a need to quantify, at a community-specific level, the expected impacts to communities from such events. Within this context, the current project focuses on quantifying the impacts of climate-related extreme events at the community scale." 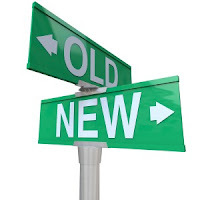 geographic information systems) and organizations (conservation authorities and power utilities)." 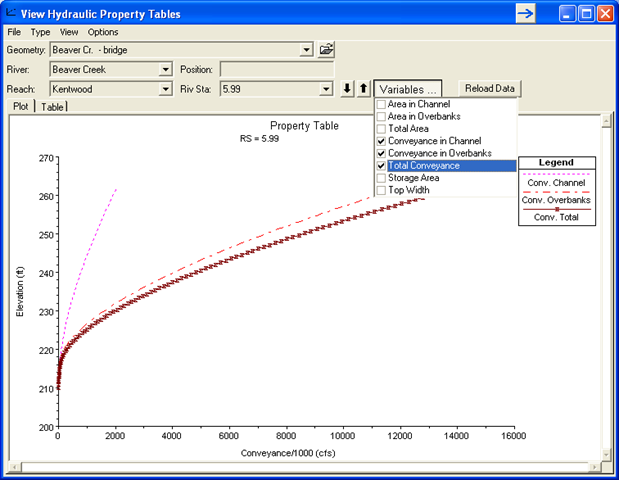 Public works departments, where traditionally engineering is practiced at municipalities, are noted as users of the analysis tool. The CIAT is primarily designed to be used by municipal staff across a range of departments including, but not limited to planning, economic development, environment, parks, forestry, finance, risk management, and transportation and public works departments. 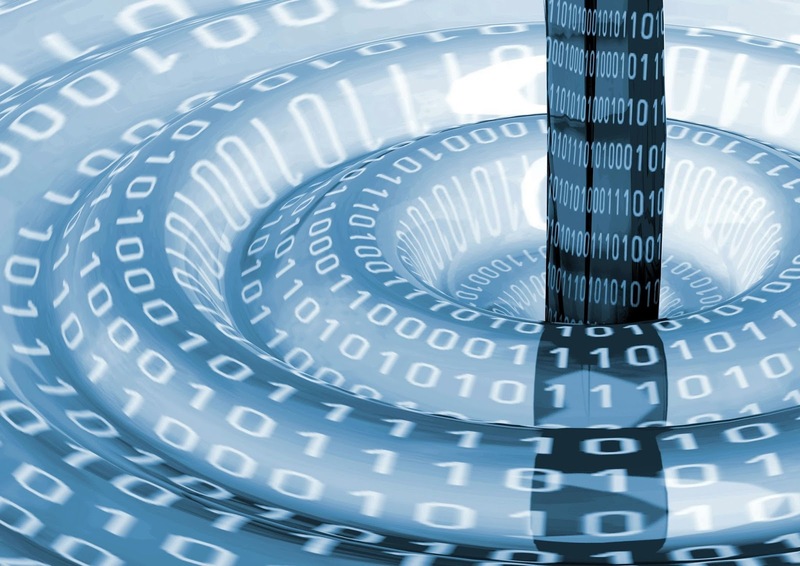 Water and sewer services departments and local electrical distribution utility providers may also find the tool useful or be engaged through data sharing." Overall, the role of engineering analysis is limited. Input from conservation authorities may contain usually engineering data (watershed hydrology or river hydraulics), but this is has not been appropriately used in the report or the tool. Expected annual damages should not have been estimated by extrapolating 100-year damages to more frequent event damages (where there are often no damages for small events), and changes in flood depth that drive damages should not have been estimated based on changes in rainfall intensity (using multiplication as a 'simple proxy' for proper engineering analysis). What were the political priorities to generate Mississauga flood damage estimates under climate change vs. logical priorities. It does not appear that any hydrologic or hydraulic sciences were involved in the report for IBC despite the fundamental need to estimate changes in flood flow, or flood depth as a result of climate change IDF shifts. "[P]olitical pressures often set the agenda for what is to be (or not to be) predicted, and sometimes even try to impose the prediction result thus transforming prediction into prescription." It is possible that Team Green Analytics was working towards a prescribed result, or at least a plausible result, and accepted the prescribed prediction, shunning the Kahneman System 2 thinking that is required for the complex analysis task. ... or the budget was tight? Like in his key note address where Vit relates a story from his early career in Czechosolvakia "around 9 o’clock, my boss walked into my office and said 'Vít, by quarter to eleven I need the cost for the Teplice [dam] project' ”, Team Green Analytics had to get a result within the constraints they were given. Vit related his dilemma : What can one do about an impossible request like that? The command of the professional ethics is clear: Refuse to cooperate, period! But in the 1950s in the communist Czechoslovakia where people were disappearing without trace? Where the gallows, worn out by the recent “liquidation of the enemies of the people”, were being diligently repaired; where a shade of hesitation could mean “sabotaging socialism”, be sent to the mines to “regain the confidence of the working class”, or at best lose the job and be black-listed for any job except window washing or street sweeping? With two kids and the predictable firing and black-listing of my wife? figure has been haunting me ever since and I made a resolution NEVER AGAIN! Flood damages with climate change are overestimated due to non-linearity between rainfall intensity and runoff, and runoff and flood depth. Hydrologic and hydraulic principles have been ignored in the analysis in favour of factoring of results by expected rainfall intensity changes. Toronto climate change trends are clear when it comes to temperature - yes, going up. 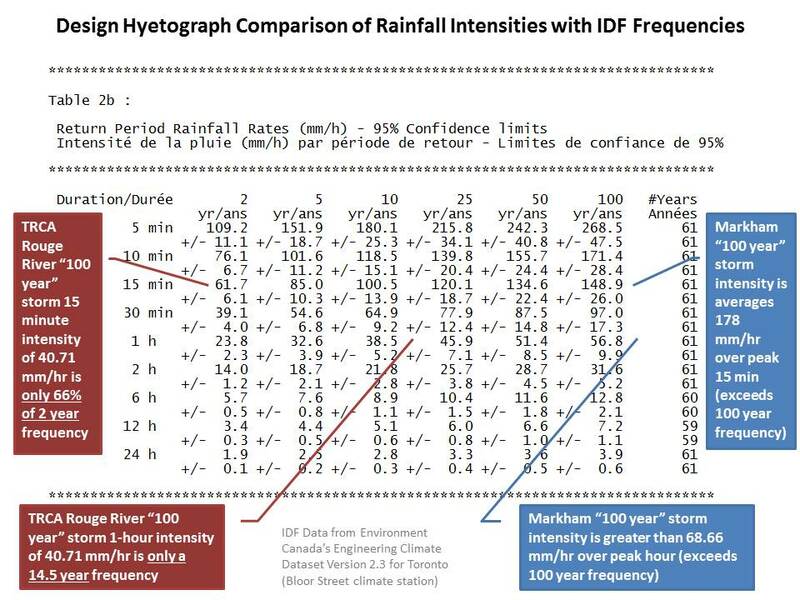 But for rainfall, Environment Canada's Intensity-Duration-Frequency (IDF) data show decreasing trends for short duration extreme and common rainfall events. 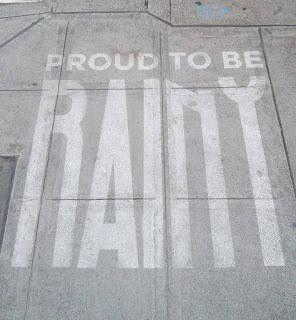 Short duration storm intensities are used in hydrological analysis and design of urban drainage systems and can be an indicator predicted climate change impacts. Extreme storm intensities represent urban flood risks - fortunately, so far, there are no increases in extreme Toronto rainfall according to official datasets. 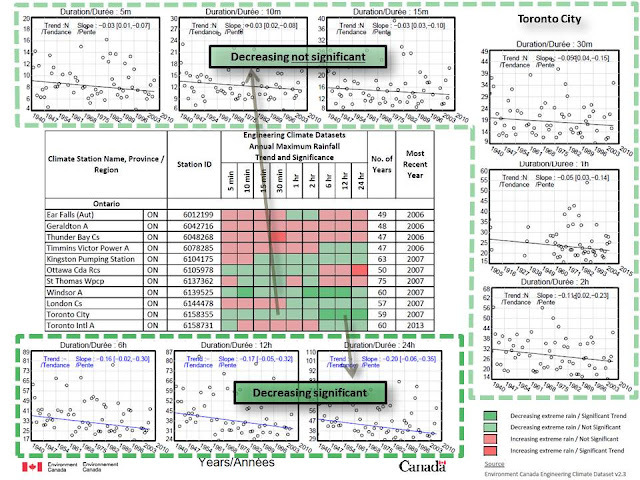 Downtown Toronto shows the most consistent decrease in observed rainfall intensity and corresponding decrease in design rainfall intensity. These design intensities are based on extreme value statistics as derived by Environment Canada using the raw weather observations at the climate station. 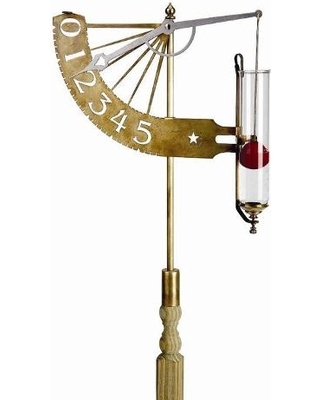 Design rainfall intensities are shown for short durations of 5 minutes, 15 minutes and 1 hour in the three tables. Changes in rainfall intensity are also shown up to 2003 and up to 2007 in the right two columns. All design intensities have decreased for all durations and for all return periods from 2 to 100 years (i.e., common storms to rare storms). Is the Ontario government muzzling scientist and engineers from sharing this, to justify cap and trade and Bill 172 to fight flooding through climate change mitigation? That would seem misguided, not evidence-based as storm intensity is not increasing. The most extreme (rare) "100 year" rainfall intensities that have a 1% chance every year have decreased between 3.7% and 5.5% for 1 hour to 5 minute durations, respectively. The more common "2 year" intensities with a 50% chance every year have decreased as well, dropping 2.5% to 4.1%. A similar climate change in severe weather is observed at the Pearson International Airport climate station in Mississauga, Ontario. The Environment Canada label for the this station ID 6158733 is "TORONTO INTL A", or "TORONTO LESTER B. PEARSO ONT", which inaccurately identifies Toronto as the municipality where the gauge is located. Changes in rainfall intensity are also shown from 1990 up to 2003, 2007 and 2013 in the right three columns. Design intensities have decreased for shorter durations (5 and 15 minutes) for all return periods from 2 to 100 years (i.e., common storms to rare storms). For longer duration intensities, the trend is mixed with "2 year" common intensities decreasing 4.1% and rare "100 year" intensities increasing 10.9%. The increase reflects the fact that a record rainfall was recorded in the last year of the record (July 8, 2013). Subsequent years have shown below average extremes - in 2014 and 2015 the maximum daily rainfall totals were only 27.6 mm and 37.4 mm, respectively, both less than the average "2 year" value of 47.6 mm. These recent trends would result in a return to lower design intensity values. The chart below shows the decreasing trend in daily rainfall totals up to 2013 and up to 2015. The downward trend in 24 hour maximum rainfall is stronger when 2014 and 2015 are included (dashed blue line). Yet, even if the recent lower daily rainfall totals are excluded, the trend is downward (dashed red line). What do the Toronto and Mississauga "Toronto Pearson" IDF trends mean for drainage design? 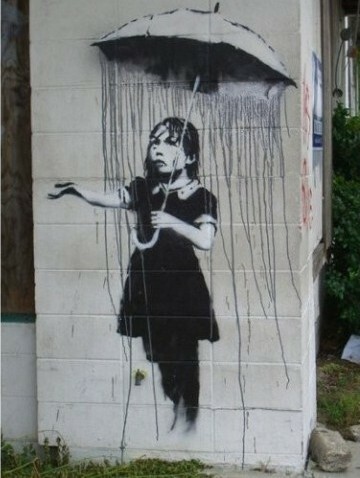 Hopefully nothing. 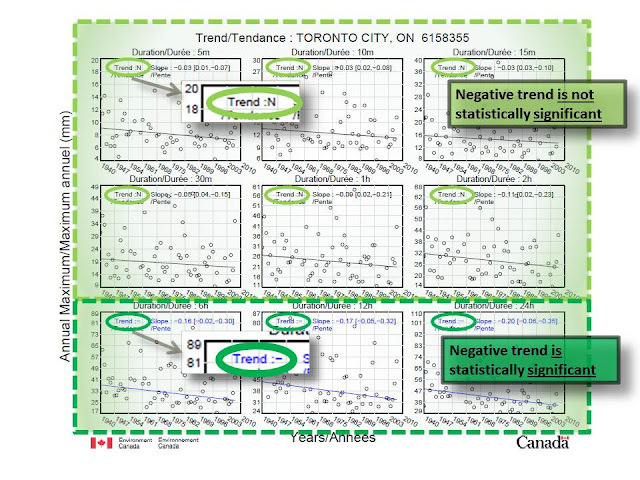 Although downtown Toronto trends have been steadily decreasing, the most recent 2013 storm is not included and could moderate the downward trend in severe rainfall statistics. Although Mississauga Pearson has some increasing intensities, this is skewed by the timing of the most recent record and absence of even more recent below average data points. And although some Mississauga intensities increase (above 5 year, 1 hour data), short duration values remain below downtown Toronto values in an absolute sense, meaning the Mississauga values are just 'catching up' to the historically higher Toronto ones. To illustrate this, up to 1990 the 5 minute Toronto 100 year design intensity was 21% above the corresponding Pearson value. 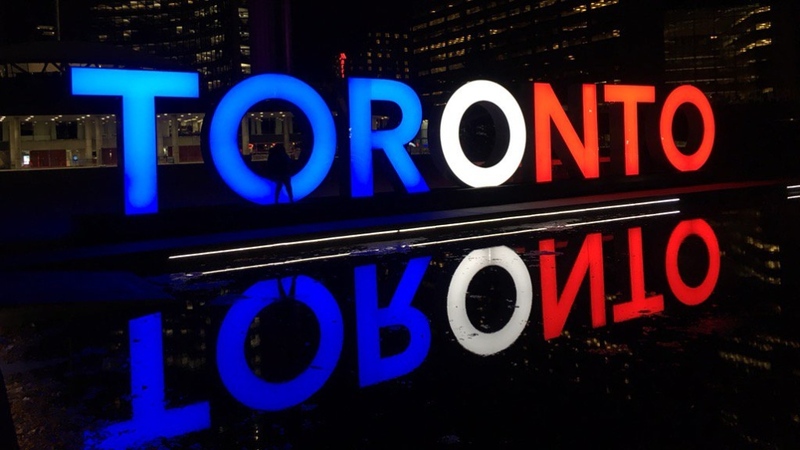 In 2007, that Toronto statistic was still 20% higher. 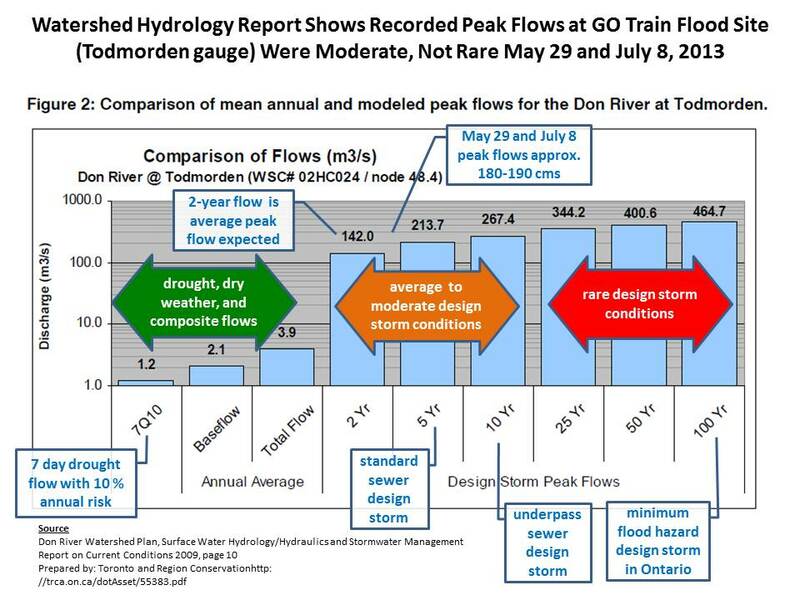 Given decreasing or as yet inconclusive or mixed IDF trends, municipalities relying on the long term Toronto and Mississauga Pearson rainfall statistics should focus on other elements of drainage design besides IDF curve updates to reduce urban flood risk. These elements include review of runoff coefficients that increase with intensification and infill development or denser urban design, and return period factors to increase conservatism when IDF values are used in rational method design. 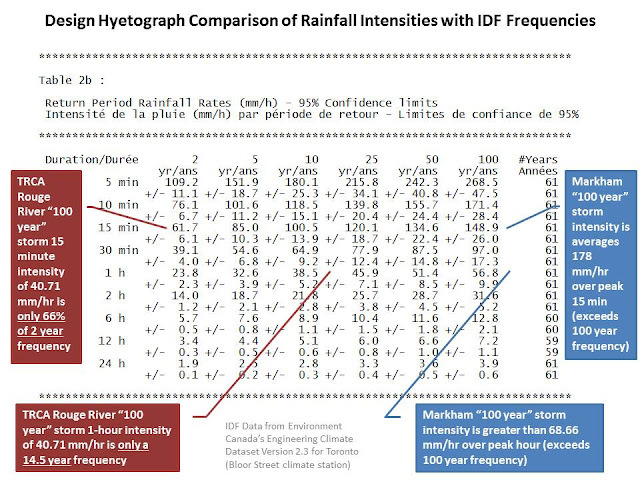 Design hyetographs based on IDF values should also be reviewed for conservatism, especially how mass curves are used to distribute IDF rainfall totals over design storm periods - preservation of peak rainfall intensities within the hyetograph pattern would have a significant influence on peak runoff rates for flashy urban catchments. IDF values should increase over time as sample bias is reduced with longer data sets that better characterize extreme events in the population. 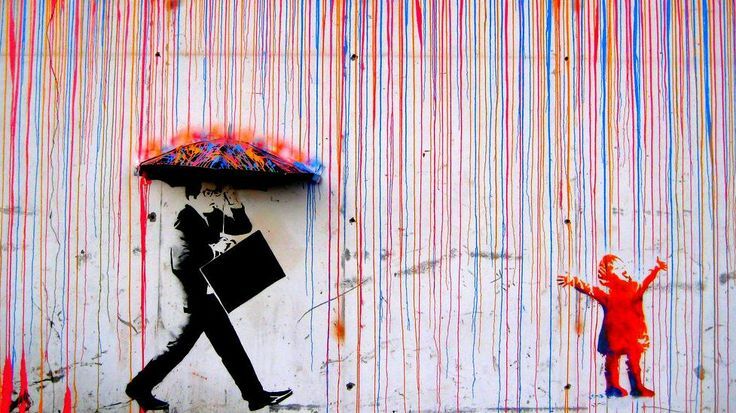 Samples (aka observations) from skewed populations like rainfall require long records with many observations for these extremes to be reflected in the IDF statistics - a previous post explores this in context of the variability we see in rainfall observations. The IDF review above considers climate station records with 30 years of observations or more in which sample bias is expected to be low (see Toronto example in previous post). "The objective of Lost River Walks is to encourage understanding of the city as a part of nature rather than apart from it, and to appreciate and cherish our heritage. Lost River Walks aims to create an appreciation of the city’s intimate connection to its water systems by tracing the courses of forgotten streams, by learning about our natural and built heritage and by sharing this information with others." 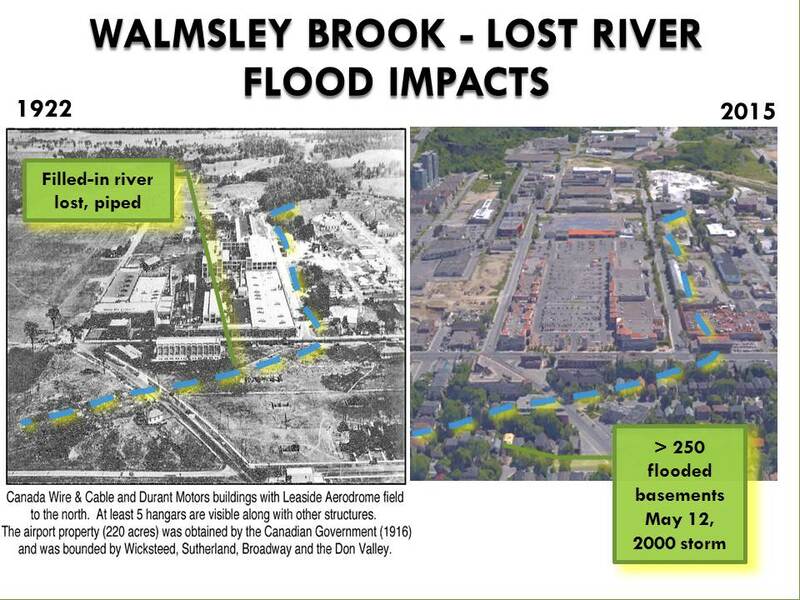 Today's Lost Rivers are tomorrow's flooded basements. According to Lost Rivers, Walmsley Brook was named for John Walmsley, a settler in the Leaside area or Toronto. 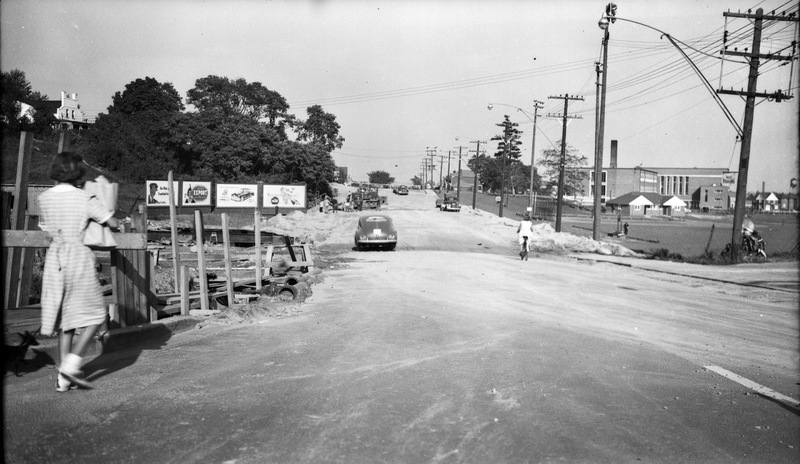 It started as small streams near Duplex Avenue and Alexandra Boulevard which joined west of Yonge Street and flowed east to Mount Pleasant Road, then past Bayview and Eglinton, before heading south east to Laird Drive, the CPR rail line and the Don River. Downstream reaches around McRae Drive to the outlet were largely open in 1922. The reach was subsequently filled in as shown on the images below. 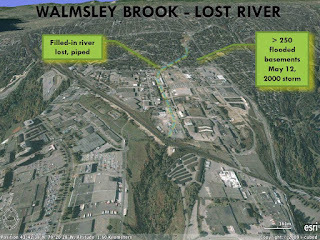 Walmsley Brook, tributary of the Don River was 'filled in' and piped near McRae Drive and Laird Drive and is a part of Lost River Walks, organized by Toronto Green Community. The catchment draining to the low reach is over 400 hectares in area. That is significant as flood hazards were typically mapped when drainage areas reached 125 hectares, or approximately half a square mile. Today it is not uncommon to map river flood hazards for drainage areas as small as 50 hectares. Given the large drainage area and the obstructions to flow along the overland flow path, it is no surprise that this are is subject to flood risks. But it does not manifest as river flooding - instead it is a combination of urban flooding overland, and basement flooding that is aggravated by extraneous inflows to the sanitary sewer system. Over 250 flooded basements were reported after the May 12, 2000 storm in Toronto. 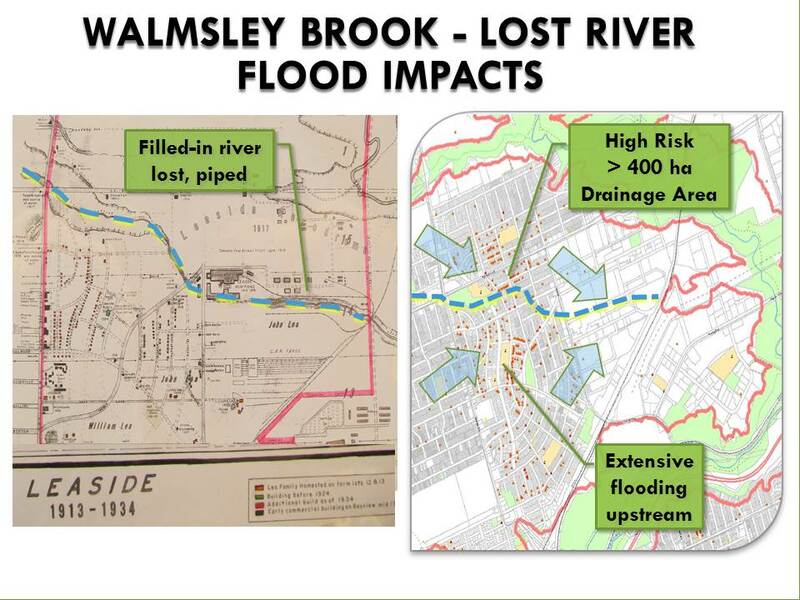 The flooding was concentrated in the former Walmsley Brook watershed, and extended outside of it to the south west where the sanitary sewer system crossed into the watershed. The former Walmsey Brook alignment through Leaside is shown to the left. 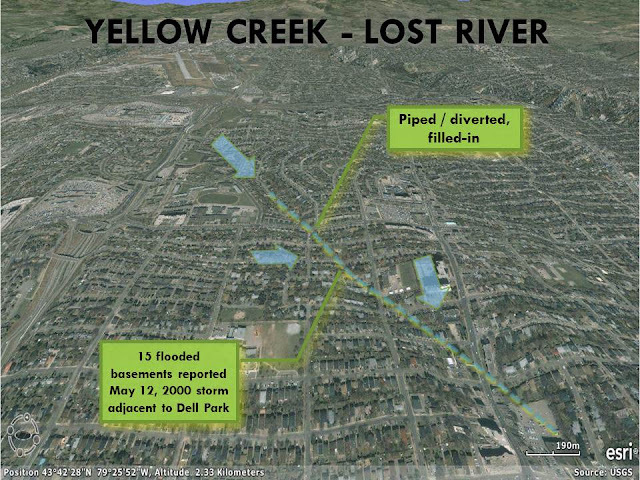 The same alignment is shown on the right along with reported basement flooding locations in the former watershed. Residential development west of Laird Drive and commercial development east of Laird Drive has reduced the overland flow capacity needed during extreme rainfall events. Perspective of Walmsley Brook from outlet to Don River. Detailed analysis using Ontario topographic data, geographic information system hydrology tools, and geo-referenced Toronto flood locations for May 12, 2000, August 19, 2095, and July 8, 2013 storms shows quantitatively that the overland flow path along lost rivers affects basement flood risk. A summary of the analysis is in a previous post. The lesson? "You can take the river out of the neighbourhood, but you can't take the neighbourhood's runoff out of the residual flow path". Lost rivers not forgotten. Walmsley Brook in Leaside has been enclosed in sewers and the overland flow system has been filled in and blocked but the residual flow path remains in place. During extreme rainfall the storm sewer capacity will be exceeded and overland (urban) flooding will occur on the original brook flow path. Basement flooding is often concentrated along the flow path after impeded surface flow enters building flood drains and overwhelms the wastewater sewer system. Bathurst Heights reach of Yellow Creek. Lost Rivers describes many other lost watercourse features in Toronto. We will highlight a few of them in the weeks to come, but first here is another smaller system that demonstrated flood clusters during extreme storm events, although not as extreme as Walmsley Brook in Leaside.. According to Lost Rivers, Yellow Creek originates in the Downsview area and entered the Don River just north of The Prince Edward. The Bathurst Heights reach experienced flood clusters on May 12, 2000, and also on July 8, 2013. Note that our mapping for all July 8, 2013 flood reports is incomplete and does not show all the reported flood locations as the individual site data is not available from the city. However our May 12, 2000 mapping does reflect all reported locations and this likely reflects the broader July 8, 2013 incidents as well - as most properties are built at grades and with service connection very close to their neighbours, back-ups at one property general reflect risks and incidents at adjacent ones. 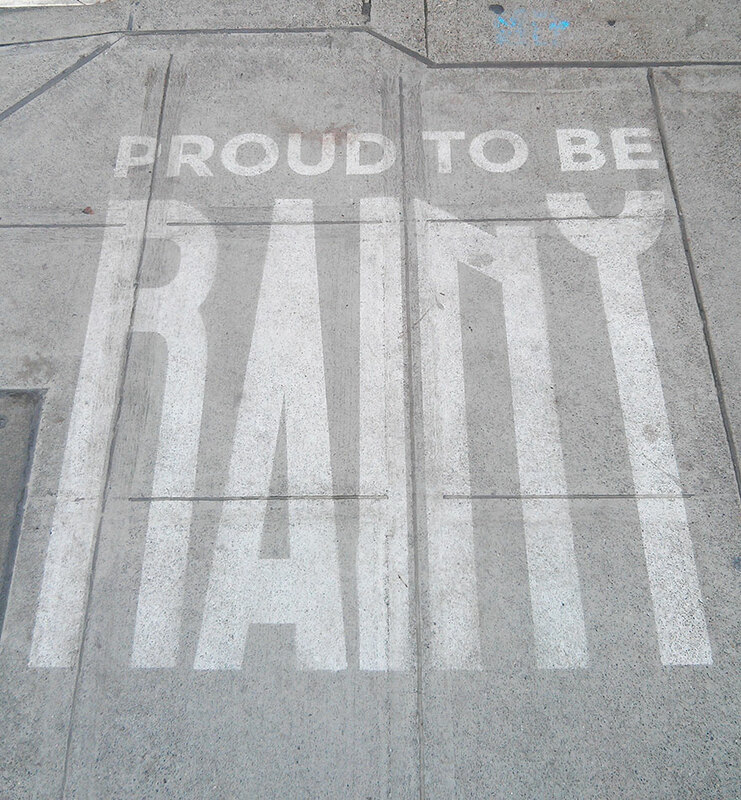 Sometimes property owners do not report flooding to the city and instead work through their insurance company. In the most chronically flooded locations where no back-up insurance is available, there may be no reports. 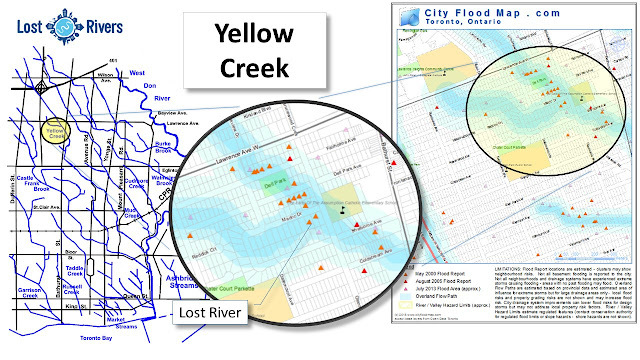 The image below shows where Yellow Creek fits into the broader lost rivers network and shows details of flooding along the Bathurst Heights reach. Perspective of Bathurst Heights reach of Yellow Creek, southwest of Bathurst and Lawrence, looking northward. This ArcExplorer oblique image shows exaggerated topographic relief, clearly shows the ups and downs of the former creek catchment. Historical flooding has been concentrated along the flow path upstream and downstream of Dell Park where runoff is concentrated during extreme rainfall events.